Cooking and children’s books. My two passions in life…oh and ChickPea and PudStar of course (oops they slipped my mind ever so briefly). I have my mother to thank for my love of cooking, and my love of children’s books. Not that I always thanked her. I spent much of my childhood trying to swap my mother’s wholemeal, sweetened with fruit biscuits for an Iced Vo-Vo, and I was desperate to taste mashed potato; it being banned from our house in favour of curries, stir fries and crunchy vegetables. The dreadful thing is that I now do this to my own children…PudStar is desperate for a bit of Disney-themed yoghurt rather than my homemade, sweetened with fruit yoghurt. Poor deprived child. 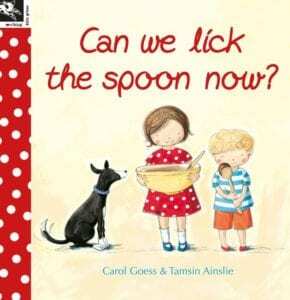 ‘Can We Lick the Spoon Now’ instantly appealed to me and not just because it is a children’s book about cooking cakes. It is a beautifully designed book, the colours are fresh, the layout is clear and uncluttered and the addition of the chocolate cake recipe at the back is genius (hardcover edition only). It also matches my Kitchenaid and my measuring cups…win all round really. The storyline is one that will be familiar to all mothers of young children with the question, “what can we do now” repeated over and over. The adult character, who is illustrated in a gender neutral way so that it could be either mum or dad, suggests they all make a cake…with a funny and realistic twist at the end. This is a story that reads aloud beautifully…the text is full of onomatopoeia, the rhyme and rhythm is spot on for early childhood and children will love joining in with the chorus line. Tamsin Ainslie’s illustrations add much to the text and capture the essence of cooking with children…chaos, cupboards emptied and batter dripping everywhere. I adore her illustrations and I’ve loved seeing her name pop up on the covers of some other wonderful books including ‘Matty Forever’ (Elizabeth Fensham) and the ‘Brigid Lucy’ (Leonie Norrington) series. 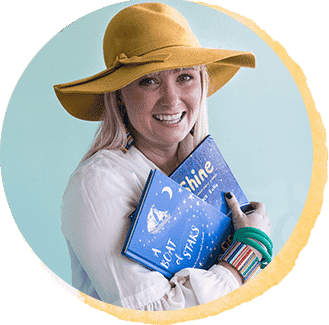 I like the colours she uses, the freshness, her use of white space…and they have real child appeal, they are inviting and playful…end of gush, but do check out her website and Facebook page and admire. This is a story to be enjoyed in the reading and in the requisite baking that follows. Obviously you will be badgered to bake a chocolate cake after reading this book, so be prepared and have all ingredients on hand. If you do not have the hardcover edition, any simple chocolate cake recipe will be fine! Write down the all the ‘sound’ words…whisk, whisk, whisk etc. Talk about the sounds of the words and when in the kitchen use these words with your children. 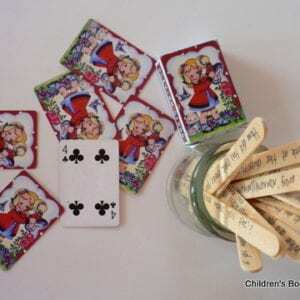 Have your child tell the story using only the illustrations. Think about the rhyming words and think of some more. I’ve got soft cover version and t has the recipe in it. Love this book so much! Definitely one of our favorites. 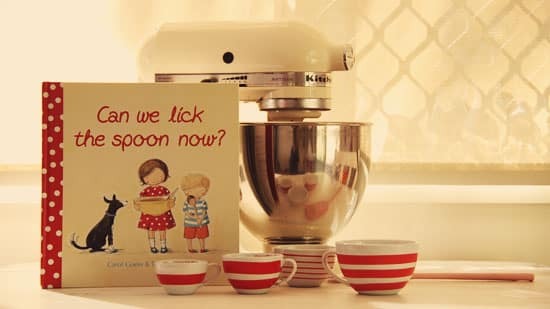 Of course licking the spoon is the best part of baking, fond memories of doing this with my Mum and now the same with my girls.